When I walked around downtown, there was a crowd of people. Oh,Kumamon! He was handing out flower seeds on the flower-planting campaign. People were taking pictures of him. He was able to speak through an interpreter who wore a yellow jacket. . His reaction was comical. Hearing music from nowhere, he began to dance. His quick movements made people laugh. I was impressed by his talent. His name is Korou-kun. 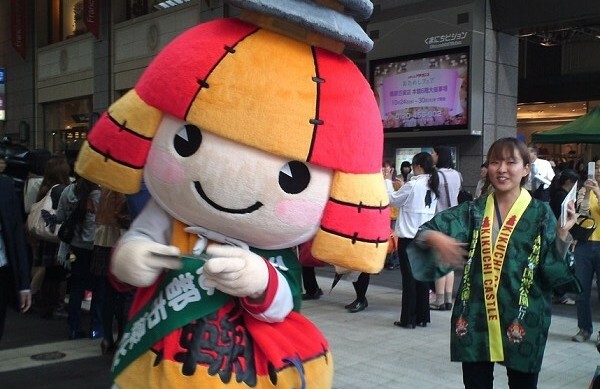 He is the mascot of Kikuchi city. He is unknown to people yet. 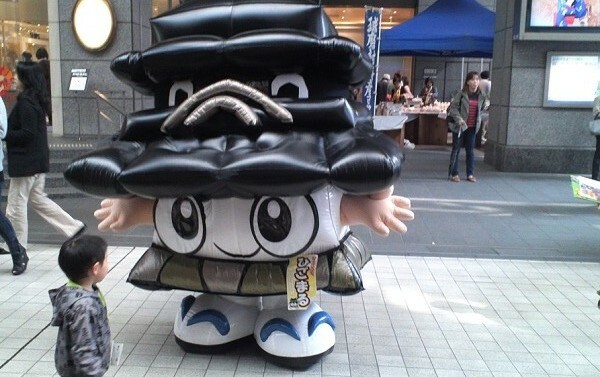 His name is Higomaru, the face of Kumamoto-city. Poor Higomaru. People in Kumamoto know him, but nobody was around him. Only a little boy was staring at him. 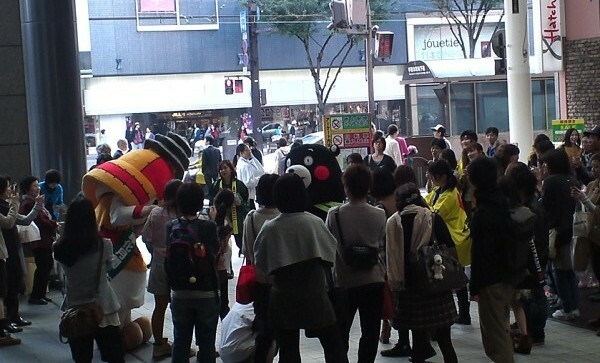 Kumamon is the hottest mascot in Kumamoto. He has the title of sales manager of Kumamoto prefecture. He is a really good worker. He produces a great economic effect. 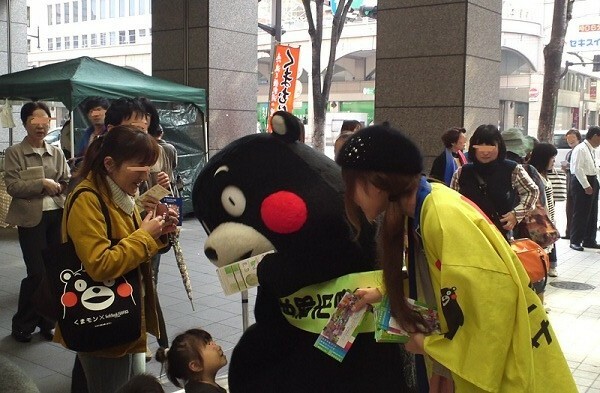 The prefectural governor and many prefectural government’s employees created Kumamon with strategy and they continue to support him. Kumamon has his blog and even twitter account. That’s the reason he is very popular, I think.